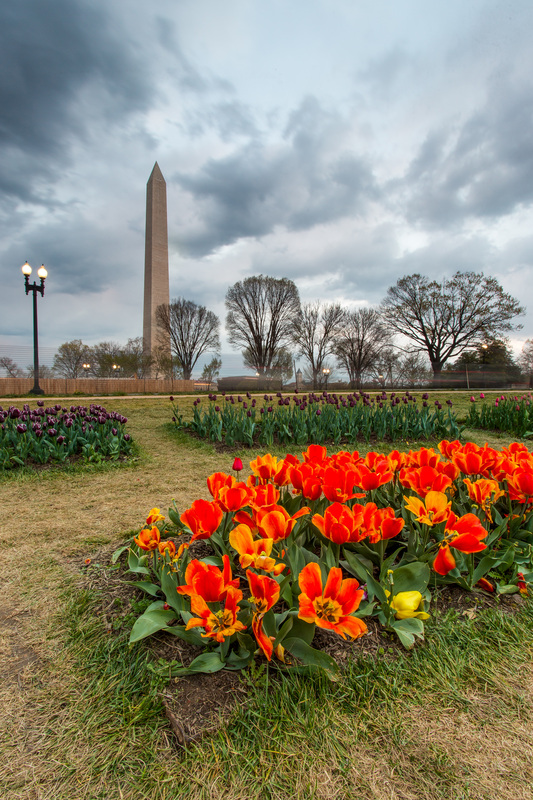 April is a fantastic time to visit the National Mall in Washington, D.C because the tulips at the Floral Library are in full bloom! With the right angle, you can see them in the foreground with the Washington Monument behind. 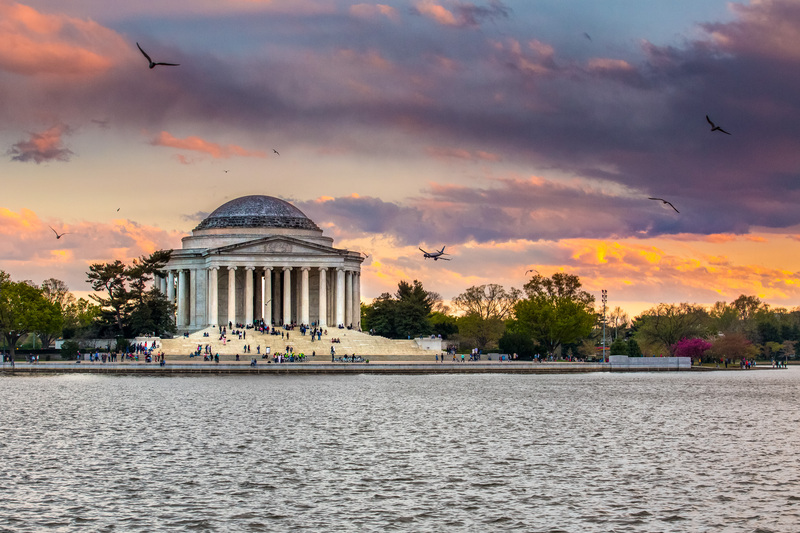 Sunset is a great time to view the Jefferson Memorial, too. All images are copyright © Gregory A. Dunbar unless otherwise specific. Use of images without permission is strictly forbidden and monitored for enforcement. If you would like to license the images for use, please contact me.